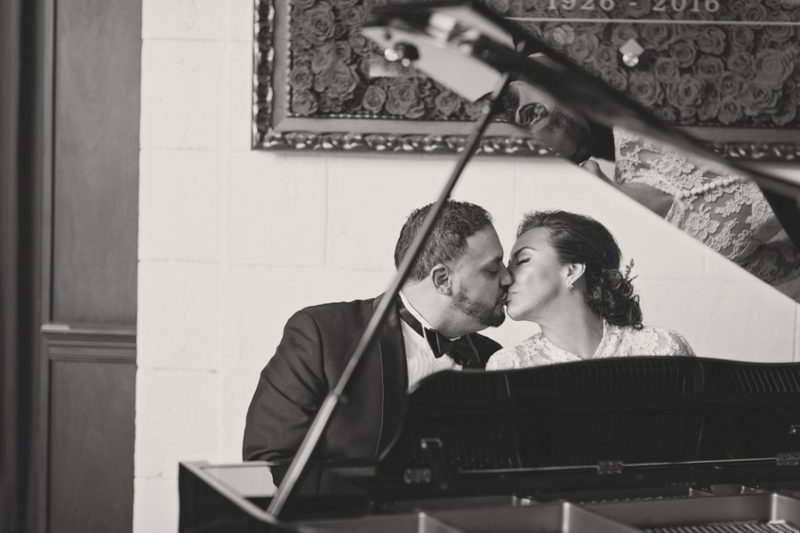 Katherine and Jose were married on November 19th, with a ceremony at the Cathedral of St. Matthew the Apostle and a reception at the St. Regis in Washington, DC. I spent all my time before the ceremony with Katherine while my second shooter, Yuri, was with Jose. I was so glad I got to spent that time with her, too, because some of my favorite images are from that “getting ready” time. I love the image of Katherine sitting on the red couch laughing with one of her bridesmaids. It’s a snapshot of pure joy. I also love the image of her in the horse and carriage with her ring-bearer—it’s another moment of togetherness in a wedding full of honest affection. 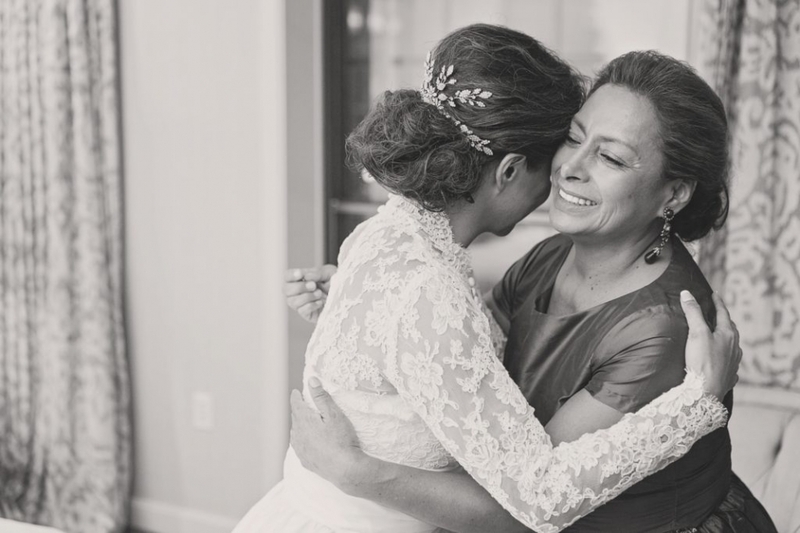 Probably the most memorable moment of the whole day was when Katherine’s mom helped her into her dress. I could see the two of them have an extra special bond, and when I look back on this wedding, that moment still stands out to me. I can’t say enough wonderful things about the cathedral the wedding ceremony was held in, either. The Cathedral of St. Matthew the Apostle was by far the nicest church I’ve ever shot in. I couldn’t get over the grandeur and the beauty of it. From the majestic high ceilings adorned with carvings and murals to the red carpet of the aisle, this cathedral was timeless– like a moment carved out of history. When Katherine walked down the aisle, she looked like royalty. As a photographer, I often get to explore new places and new venues, and this is one church that I’m not going to forget. So many people came together to make this wedding memorable, including the day-of wedding coordinator, MeSoiree LLC. They did an amazing job making sure everything went smoothly. 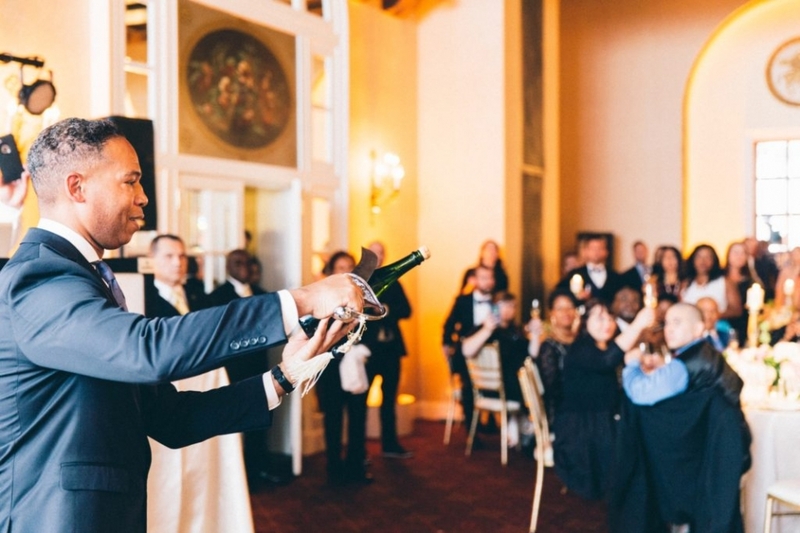 The St. Regis hotel was amazing as well—and provided my favorite moment of the whole day in a ceremonial champagne bottle opening. The guy used a sword to open the bottle. Jose & Katherine, I don’t know what it is about the two of you that makes me feel like I got to work for a celebrity couple, but somehow, you made even crossing the street feel like a glamor shot! Whatever that ‘something’ is, I know it’ll take you far in life. We are honored to have been voted 2016 #3 BOSTON’s Best Wedding Photographer by WGBH and City-Voter. Thank you to all that voted!! We know we are #1 in your hearts. Felicia and Vladimir were married on August 27th, with a ceremony and reception at Le Ciel in Santorini, Greece. The gorgeous and magical island of Santorini was the perfect location for these two to tie the knot. It’s always exciting to be part of a destination wedding because of the feeling of adventure and romance, and for Felicia and Vladimir, those two words seemed to sum up their entire personalities. My videographer, Kyle, and I were never at a loss for something amazing to document. I did all the photography, starting with Felicia and her bridesmaids and then Vladimir, and the whole day went by in a whirlwind of joy. The ceremony itself was stunning and emotional and provided my favorite image of the day. At the end of the ceremony, after they’d been pronounced husband and wife, Felicia and Vladimir walked down the aisle together with huge smiles on their faces and rose petals in the air. That photograph evokes such a strong, joyful feeling even looking at it now that I can’t help but get swept up in their happiness all over again. I have to say, though, that my favorite moment was when we went to the small church on top of a mountain just minutes away from the wedding venue. It was the first time the two of them had some alone time to chat and decompress after officially being married, and I could see them drinking in each other’s presence as well as the emotion of that moment. I’d also be remiss if I didn’t thank “Behind the Design” for their event planning. For a destination wedding like this, it’s always crucial for the planning and design to go off well, and she was an absolute lifesaver for this wedding. Felicia & Vladimir, you two are meant for each other! Thank you for letting me join you on your amazing journey to Greece!